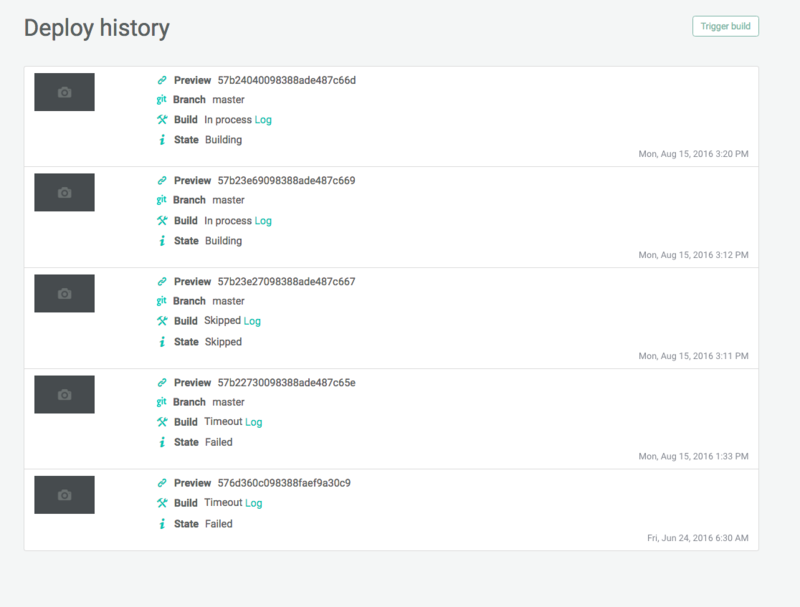 We recently wrapped up a UI update to the deploys page and laid our Cards on the Table. 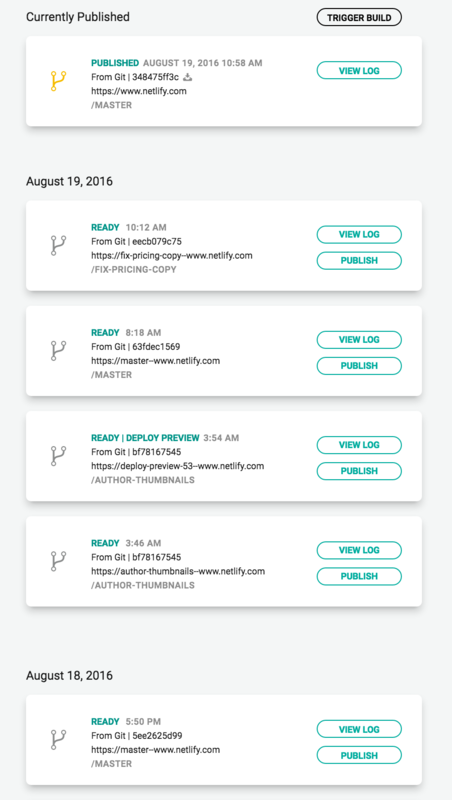 Netlify practices the JAMstack philosophy when building websites, including the one you are reading right now 💥 Which means, we have an API that populates everything on our new “/deploys” screen. I was tasked with updating the data from a boring list (below) of deploys, to a new list grouped by date (above and fancy). The challenge in completing this change is that the data is coming from the API is not grouped by date and just a boring array, did I mention how boring this was? I did mention the array of data is boring, but we do use Redux to maintain the state of our data within the Container Components, which is a lot of fun to work with. We also use Immutable to further ensure that the state of our data is maintain. Redux gives us the ability to access data in a unilateral way, meaning, we do not manipulate the data received, but create new immutable objects, which gives us access the original state of all our data. It is not ideal to mutate the different deploy states of the sites we host on Netlify. A user has the ability to always look back at the state of their site and even rollback to that deploy state if desired. The Immutable project helps to ensure immutability of these deploys. So going back to my task of grouping deploys by date – The deploy screen is the only place where we display deploys and the reducer is the exact spot in the code where we prepare builds to be displayed. Immutable Objects look very similar to regular JavaSscript objects but differ enough that I have to look up their documentation quite frequently. Immutable Arrays are called a List and if you are unfamilar and would like to learn more, I would checkout the egghead.io course on the Immutable. I actually took the TDD aproach here and wrote out tests for a groupByDate(). The idea is to create a new List that groups similar deploys with the created_at date as the key. I am now able to reduce the my array into to exactly what a need, grouped array of key/value data grouped by an dates. Similar the Immutable docs, I always have to refer this tweet for understanding of how reduce() works. I now use everything I have learned and tested in to practive, using my favorite Markup renderer JSX. The result of all my hard work is now stored in the groupedDeploys prop, I can now map() each item per group and easily display the Group Date. The deploy data is rendered using a second map. Now that this is good, I can now get back to deploying.